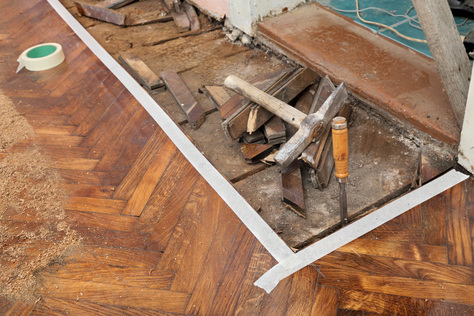 Abrams Flooring provides repairs when there is a flooring mishap. Despite taking reasonable care, your flooring can get damaged and need repairs; this can happen through continual traffic or as a catastrophic event. Abrams Flooring knows that flooring is a major asset, and as such, damage needs repairing before the floor has to be replaced entirely. We provide this service to clients in Lake Worth, Wellington and surrounding areas. Carpet repairs. The most common repairs for carpets are the lumps and sags that happen when the carpet loosens. To fix this, we will re-stretch and tuck your wall-to-wall back to smooth tautness. Vinyl repairs. Even though vinyl is a strong and resistant surface, it can lift along the edges or rip. To correct the lifting, we clean and get all debris from behind the vinyl, then re-adhere it. Depending on the tear, we can clean it up and re-adhere it, or cut out the damage and match up a patch using vinyl left over from the installation. Laminate repairs. We can repair your laminate floor using leftover material from original install or if material is still in production, we can order more material to do your repair. Whatever damage your flooring has obtained, call or contact us with the easy online form, and we can give you your beautiful floor back using our specialized repairs.